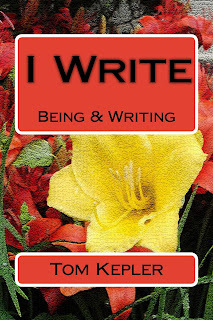 from "Waking the Inner Writer: Consciousness in the Classroom"
Composed of articles from the author's writing blog, this book was compiled for three reasons. One was for the author to have a book to use in his high school classroom that fit his teaching style. Another was to create a sense of writing community in the classroom in order to promote a more authentic discussion of writing. The third was to use as a model for students in the project-based learning task of publishing their own anthology. "I write." We have to consider both words in that declaration. We have to expand the container of knowledge, the mind, and also develop our writing skills. Learning how to write is a life-long process. It is one that demands dedication and humility and perseverance. It is one that requires a certain knack that is an integration of skill and comprehensive thinking. One might say "As we are, so is our writing." A teacher for over thirty years, Tom Kepler draws from his unique knowledge and training both as a classroom teacher and as a teacher of the Transcendental Meditation program to write this series of essays about consciousness and the writing process.